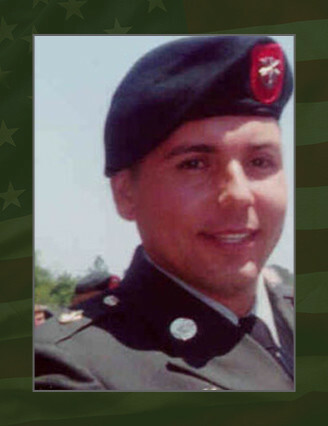 He was killed in action during an ambush in Geresk, Afghanistan on March 29, 2003. His unit was deployed to Afghanistan in support of Operation Enduring Freedom. His awards include the Army Achievement Medal, the Good Conduct Medal, the National Defense Service Medal and the Army Service Ribbon. He was posthumously awarded the Bronze Star Medal, the Purple Heart and the Combat Infantryman Badge. He also earned the Parachutist Badge, the Expert Infantryman Badge, the Air Assault Badge, the Ranger Tab and the Special Forces Tab.